Walking and biking creates healthy kids! Only one generation ago, kids routinely walked or bike to school. Today, fewer children are walking and biking and more parents are driving. This shift towards a more sedentary lifestyle has resulted in a number of health concerns such as childhood obesity, diabetes, and the risk for heart disease. Over the past 40 years, obesity rates have soared among children of all ages and over 33% of all kids—25 million—are now overweight or obese or at risk of becoming so. 23% of children get no physical activity at all. Today, approximately one-quarter of all health care costs in the United States is attributed to obesity and related illnesses. Families that live in auto-oriented suburbs drive more, walk less and are more obese than people living in walkable communities. The U.S. Department of Health and Human Services recommends that children and adolescents get at minimum, one hour or more of physical activity each day. 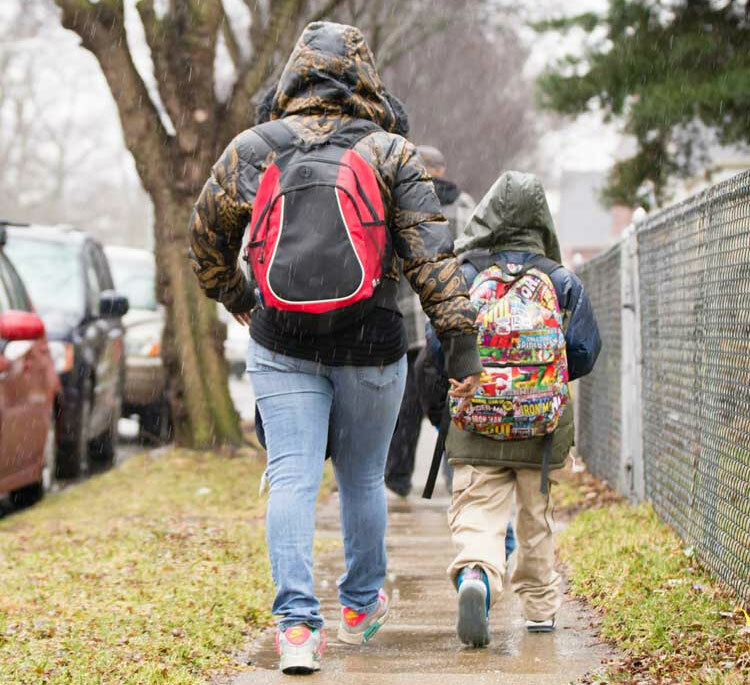 Walking and bicycling to school helps kids incorporate the regular physical activity they need each day while also forming healthy habits that can last a lifetime. Regular physical activity helps children build strong bones, muscles and joints, and it decreases the risk of weight related diseases. Safe Routes to School projects make it safer for more children to walk and bicycle to school, which will help create healthy kids.